If you're in a position to hire members of Generation Y then this audio interview is for you! Bea is an Executive Coach and specializes in Leadership and Team Coaching and she is a consultant to businesses that need to understand how to best work with Generation Y. What are the Gen Y young workers looking for when joining a company? What are the turn-offs when being recruited to a team or company? Since Gen Y has been born and raised on teams, what are they looking for in a team? 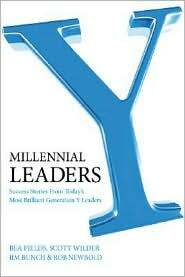 What are some examples of companies who are doing well when it comes to Gen Y teams and why are they doing well? Click on the play button below to listen to this audio interview.